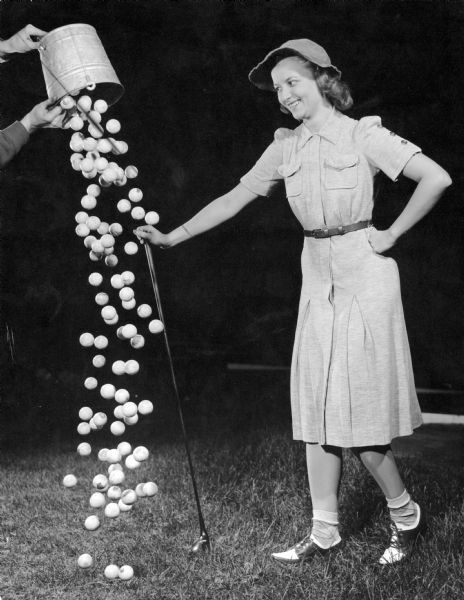 A woman dressed to play golf smiles as a bucket of golf balls is spilled at her feet. This is one of several demonstrations of strobe light functions at Frank Scherschel's Strobo Research Lab. This image is one of many photographs, held in various collections, that document photographic techniques.